Susan Regrut manages the firm's West Virginia office and concentrates her practice on product liability litigation with an emphasis on asbestos defense and related workers compensation claims. She has extensive experience providing a strong and aggressive defense of product manufacturers, employers, and premises owners. A highly-regarded and seasoned litigator, Susan is well-informed in the complex science related to asbestos litigation and is well-versed in the latest scientific literature and research. She has successfully defended clients in mass tort civil actions in the areas of product liability and toxic exposure at both the trial court and appellate levels. Susan received a BA in political science from Washington and Jefferson College in 1998 and graduated from the Duquesne University School of Law in 2003. She is admitted to practice in Pennsylvania, West Virginia, and in the U.S. District Courts for the Western District of Pennsylvania and Southern District of West Virginia. She is a member of the West Virginia Defense Trial Council, the Wheeling Area Chamber of Commerce and the Women's Giving Circle, a group of successful women philanthropists dedicated to supporting and empowering women and girls in achieving lifetime goals. 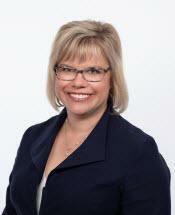 Susan joined Wilbraham, Lawler & Buba in January of 2005 and was elected as a shareholder to the firm in 2012.